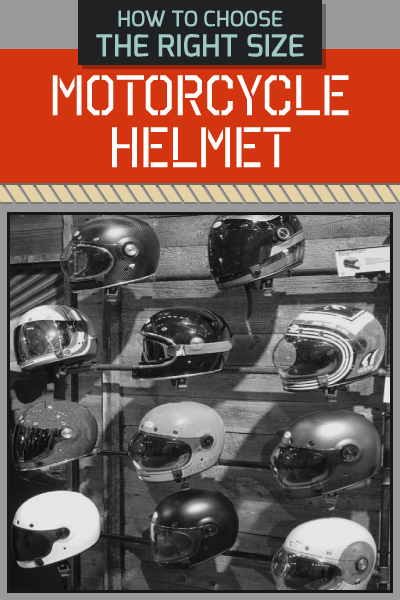 When riding a motorcycle, one of the most important is to be well-equipped with the right gear, which will be influential not only of providing your highest level of comfort, but also for your protection. 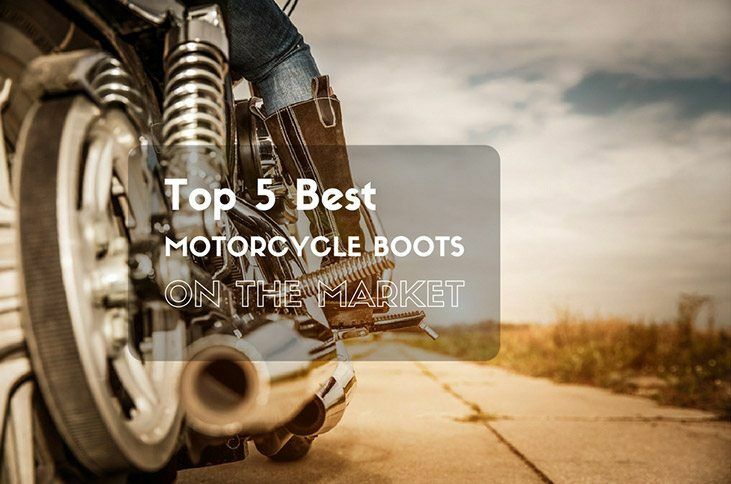 Among others, the best motorcycle boots will prove to be essential. They will protect the feet from external elements and they will also lessen the possibility of suffering from serious injuries in case of an accident. Deciding which one to pick can be a hard task. Nonetheless, this does not mean that there is an excuse for you to make a decision in haste. If you are having a hard time deciding which to choose, keep on reading and we will provide you with insights on some of the things that you should know, which will make it easier for you to arrive at the right decision. When evaluating the options that are available in the market, one of the most important is to choose the right size. It is important to ensure that it is not too small or too large. Otherwise, you will end up suffering from discomfort. 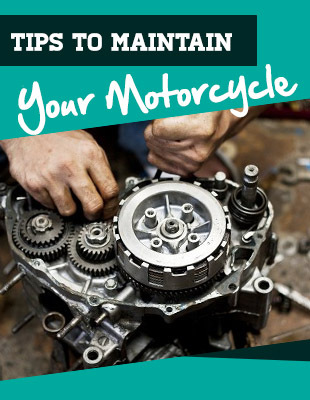 Do not just use the size of your other shoes as the basis for choosing what to buy for motorcycle boots. Follow the steps mentioned below to find the size that is suited for you. While seated in a chair, place your feet firmly on a solid ground. You should do this with your socks on. Using a brick, have one placed on the top end touching your longest toe. Another brick should be placed at the bottom, this time, touching the end part of your heel. Take out the measurements, which will now be the length. Using the same bricks, have it placed on the side of the foot and measure the width. You can now use the length and the width in order to determine the size of the boots that will be perfect for you. Consult with online charts. These charts are pretty much standardized, providing you with the assurance of knowing the right size. In the same way, take note that UK and US sizes are different, so avoid confusion. Leather: This is perhaps the most popular option when it comes to motorcycle boots. Make sure, however, that it is genuine and high-quality. There are many boots using fake leather, and it will be easy to spot, especially because it comes with a cheap price. Gore-Tex: This is a breathable waterproof membrane that can also prove to be long-lasting. It can also be effective in wicking away sweat and moisture. Kevlar: The strength and abrasion resistance are some of the distinct advantages of this material. Thermal Plastic Polyurethane: This is one type of plastic that is also commonly used in boots. Some of its benefits include abrasion resistance and flexibility even in cold temperatures. Sole: It is important for the sole to be made from high-quality material, which should also be flexible. With the latter, it will be easier to use and will be highly influential of your comfort. Style: Most people will probably decide on the basis of the looks of the boots. In this case, some of the most common choices include adventure, dual sport, cruiser, touring, sport touring, and racing boots. 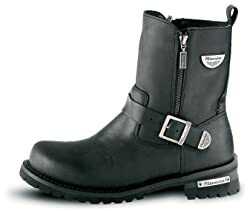 Weather Protection: Because the boots will be used for riding a motorbike, it is important that it is able to offer to weatherproof. One of the most important is for such to be waterproof, which will protect your feet from the rain. Protection: Wearing motorcycle boots is recommended because it is going to provide the safety that you need from crashes and accidents. Make sure that it is strong enough to offer the protection that you will be needing. Closures: It is important to pay attention to the closures of the footwear as this will also influence comfort. This will also prevent water from getting inside. Some of the most common types of closures that are available include laces and Velcro. Ventilation: This is another factor that will be highly indicative of the comfort that can be delivered by the motorcycle boots. Linings can be used in order to make it as airy as possible. This will encourage proper air circulation, which will keep the foot dry and will also be essential for your comfort. Height: You should also consider the height of the shaft. It should not be too tall as this can have an impact on the way you move your foot, which is important in order to have better control of the motorbike. In this section, we will identify five of the best choices that can be taken into consideration. To help in evaluating these choices, we will also have a glimpse at some of their most notable features, as well as a few of their pros and cons. 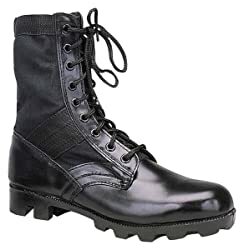 Among other things, one of the most notable features that you can find in this motorcycle boots is the metal toe guard. Basically speaking, this is the one that is responsible for preventing toes from being crashed and injured in case of an accident. Another feature that is worth noting is the Goodyear velt sole. The latter is able to offer unrivaled flexibility and protection. It comes with an adjustable four-buckle closure system. This may be a bit challenging to put on, but the good thing with the latter is the assurance that it will provide a snug fit. This is unlike in the case of laces, which can easily loosen. It also comes with synthetic leather heat shield. The latter is another good thing as it provides protection from damage that can be caused by extreme heat. Meanwhile, it also offers excellent cushioning in the insole. This will be great in terms of stability and comfort. 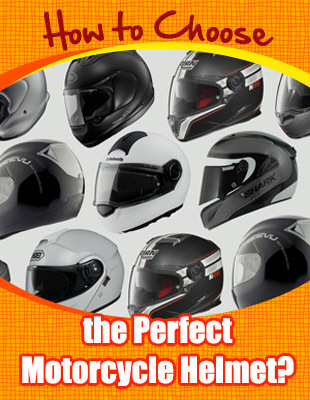 Even if it is worn for an extended period of time and for long rides, you will surely not complain of discomfort. Comfort is one of the things that you will definitely love this pair of boots. One of the things that we loved is the padded collar, which provides a form of cushioning. Ballistic nylon and suede are two of the main materials that are used in this boot. It may not be the best materials that are available in the market, but given its price point, it is already impressive. For boots with such a cheap price, the materials are impressive. They are not necessarily the most durable, but with proper care and maintenance, you can expect that they will fairly withstand extended use. It also features a removable insole. Without the insole, you might feel a bit stiff, which is why it is recommended to always put it on. Since it is removable, you will be able to enjoy flexibility. You can have it replaced with your choice, especially if you prefer thicker cushioning. This also deserves to be given words of praises because of its lightweight construction. This means that it will be easy for you to wear it even for long-distance rides. Among others, one of the features worth noting about this model is its height. It covers only the ankle, unlike other boots that are too high. Because of its height, it is not only more comfortable, but it also allows the foot to move easier, which is one of the most important when you are riding a motorbike. The ankle, collar, and tongue are also worth commending. They are padded, which can provide you with the guarantee of your comfort. They will never feel too stiff when worn, even for an extended period of time. It also comes with an excellent sole grip. It is not too thick, but it is also not too thin. This makes it perfect beyond being motorcycle boots. In fact, you can use it even in long walks and there is no need for you to be worried about your comfort. Lastly, it is also a good thing that there are Velcro closures. This will allow you to wear it and take it off easily, while also providing you with the opportunity to have it tightened and loosened depending on the fit that you are most comfortable with. Made from the full-grain oiled leather upper, this will surely be an excellent choice for the best motorcycle boots. The material of choice is basically the reason why it is more expensive than the earlier mentioned, but it can be beneficial in more ways than one, especially when talking about durability. The Drytex lining is another feature that gives it a positive impression. The latter is waterproof, providing the foot with the protection that it needs. In addition, it also helps the boots to be long-lasting. The adjustable Velcro is another exceptional feature. This will provide you with the opportunity to have it easily adjusted based on how loose or tight you want it. The interior, especially the cushioning, has also been given positive feedbacks. The latter is made from high-quality memory foam and soft polymer padding. The foot bed is also replaceable, aside from the fact that it can also resist the growth of bacteria. Lastly, it comes with double density sole, which can also resist slipping. The quality is hard to match and contributed effectively in making it offer a high level of durability. The Freedom Flex Sole construction is perhaps one of the best things about this product. This offers a high level of flexibility, making it easier for you to move. 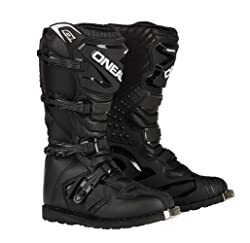 This is unlike in the case of other motorcycle boots that can prove to be a bit stiff. Aside from the flexibility of the sole, it has also been giving words of praises because it is non-marking and does not skid. It is also oil-resistant, which will make it perfect even when used as work boots. It is also worth noting that it comes with an excellent midsole. It can conform to the natural bend of the foot, making it more comfortable. This is a water-resistant boot. Even if you are driving in the rain, there is no need to worry. This will offer the foot with the protection that is needed from being wet. The zipper on the side is also a good thing. This means that you can easily open it on the side, which does not only make it easy to take off, but will also let air in when you need to do so. 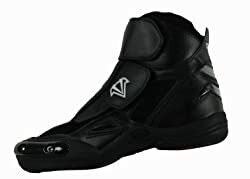 From the models that have been mentioned above, if there is one that we can recommend, it would be O’Neal Rider Boots. It has its fair share of drawbacks, but the benefits are more. Among others, it has excellent waterproofing and it can also be comfortable. The metal shank and the plastic injections provide it with excellent quality. It is sure to deliver performance that is hard to match. 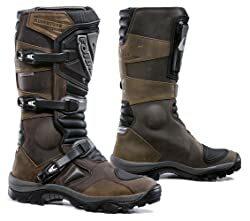 If you are looking for the best motorcycle boots, this is surely one that will not fail to impress.